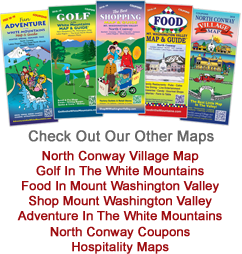 For a different sort of adventure…hit one of the many unique shops and famous factory outlets in the North Conway area for tax-free bargains or souvenirs. Bring home sports equipment and famous brand apparel, or unique NH made gifts. If you forgot to pack something for your trip, you can easily find what you need so you’re vacation can stay on track. From swimsuits to sunscreen, we’ve got you covered.